After an almost two-month wait, the Pennsylvania Superior Court has refused a motion filed by Bill Cosby’s legal team to dismiss charges against the star, allowing the trial for the alleged sexual assault of Andrea Constand, a former employee at Temple University, to proceed. “The temporary stay entered on March 1, 2016 is lifted,” the superior court ruled on Monday, April 25. Cosby, a once-beloved figure in the industry, is accused of sexually assaulting Constand in January 2004 after drugging her in his mansion, located in Elkins Park, PA. Though similar allegations have been made against Cosby for decades—the earliest of which was made in 1965—Constand’s marks the first criminal case against Cosby to move forward to court. As of now, nearly 60 women have come forward with similar testimonies against the man formerly known as Cliff Huxtable, which “typically involved the comedian offering a woman a cup of coffee or some sort of alcoholic beverage—which may be spiked with drugs—and allegedly sexually assaulting the victim as she’s impaired or unconscious,” Vox reported last July. 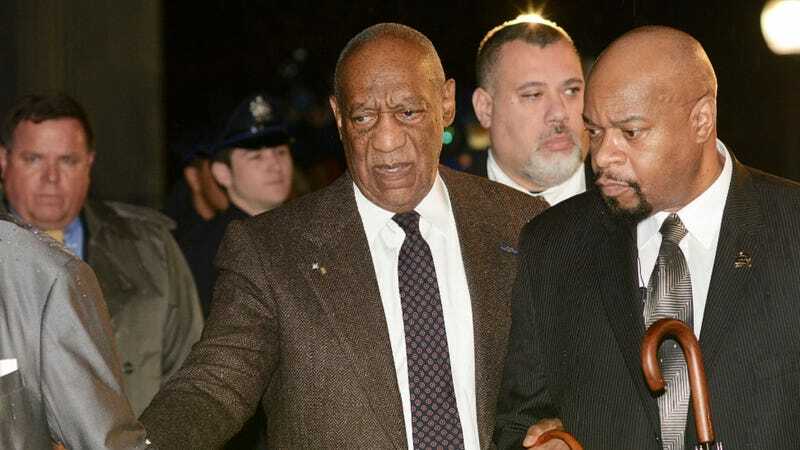 The stay was made as a result of an appeal put forward by Cosby’s attorneys on February 4, after Montgomery County Judge Steven O’Neill initially ruled that the case was allowed to go forward. “Today we received two orders from the Pennsylvania Supreme Court. The first, at the Commonwealth’s request, quashed the Cosby defense team’s pretrial interlocutory appeal. The defense’s main grounds for their appeal revolved around a deal made by former Montgomery County district attorney Bruce L. Castor; Castor himself recently testified that the deal was “not credible,” which in turn greatly affected O’Neill’s opinion on his ruling. As of now, Cosby’s representatives have yet to comment on the matter.